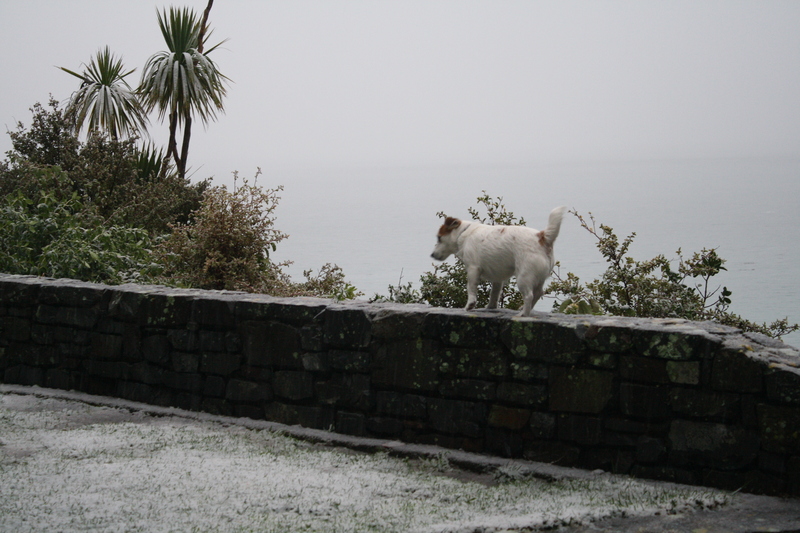 Snow may not be a novelty in many parts of the world, but here in Wellington it’s a bit of a rarity. 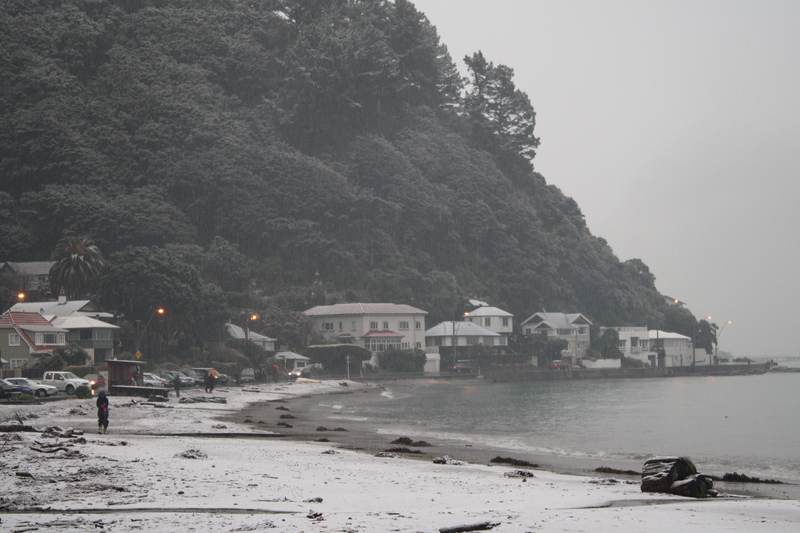 And as for it snowing down to sea level in Days Bay, as it has done on the last few days, well, that’s something I’ve never seen in my lifetime. The beauty of a snow-frosted beach was truly something to behold. More than made up for the evening of power-cuts and a tooth-aching cold house. The icy blast has come direct from the Antarctic. The only member of the household who was distinctly unimpressed was our terrier, Jackie O. She appeared to be quite bewildered as to where she was meant to pee, and was not going to put her paws on that nasty white stuff. Instead she trotted back and forth on the stone wall in the garden, looking for a patch of green. I finally took pity on her and swept some lawn clear, after which she retreated to couch and has hidden under a snuggly blanket. She seems determined that she’s not leaving the house until all this barometric unpleasantness is over. 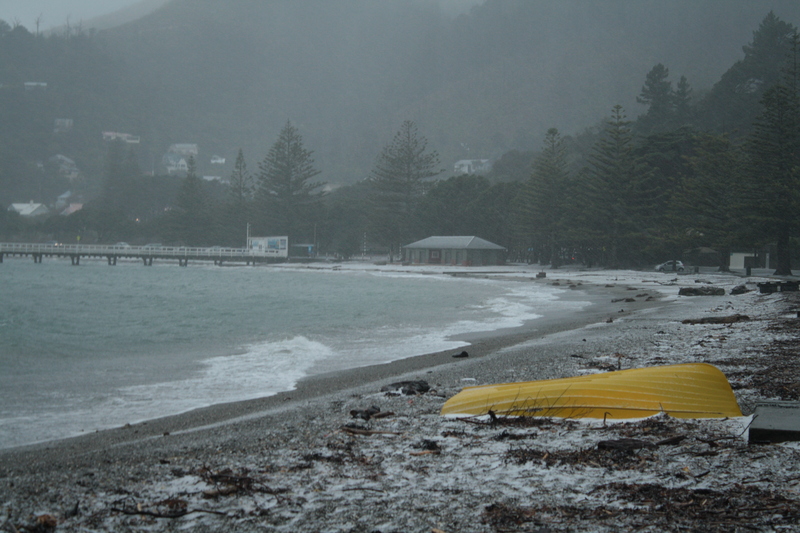 So, how was your snow days?….